Easily squeezes tubes flat from the bottom up. 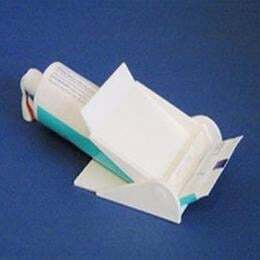 A unique featureallows the last drop to be squeezed from the nozzle of the tube afterthe tube has been expelled up to the collar. Ideal for toothpaste,lotions, salves, silicons, other household products.